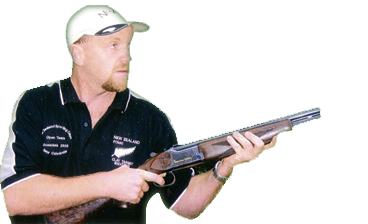 Always wanted to have a go Clay Target Shooting or for the experienced shooter, just wanting to stand out from the crowd at your next competition, you have come to the right place. Bring your own gun and firearms lisense, or guns available. We can assist you with your technique, posture and technical approach. We can also provide assistance when you are looking to buy a gun. Gift Vouchers. A fun and convenient gift for any occassion, birthdays, anniversary, special outing or an excuse to join a friend. Simply e-mail us and we can organise with no need to leave home. Birthdays, stag parties, hen parties, team building or work do what ever the occassion, nothing beats the adrenalin rush of hitting a clay target with you friends, family or collegues watching! Carodale Sporting Clay's is a truly magnificent venue, nothing like the experience you would get from a gun club!
" I wanted to take the time to thank the staff of Carodale for the wonderful corporate event you hosted. The environment is spectacular and being only 30 minutes from downtown Auckland makes it very accessible. Undeniably a magnificent relaxed yet exciting environment to spend quality time with our clients and partners. Regarding the shooting, Dale provided a safe and proffessional environment. The safety briefing was clear and to the point. His instructive commentry throughout the session saw amazing improvement and results. There was certainly something for everyone - just as you began to think you had it mastered, Dale would throw another challenge at you.Again many thanks for a fantastic event, certainly one of the best corporate events I have had the privilege to attend.